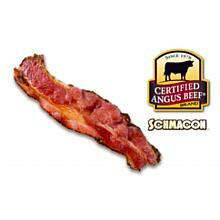 Schmacon is Beef's Answer to Bacon™. Smokey, sweet and outrageously good. Crispy, meaty -- no, beefy to be precise -- and satisfying. Schmacon™'s flavor is bold and unexpected.